On the other hand, I am still more than capable of having disastrous games. At the last 4NCL weekend I wasn’t in the right frame of mind for playing chess, and so tried to finish both games quickly. The result was the following car crash of a game and a marginally better effort the following day accompanied by a rating loss of 20 points. My current efforts to limp over the 2100 mark remind me of my mindset after I passed 2000 for the first time: I was very keen not to drop below 2000 and so made some conservative decisions, with the result that I slowly bled points down to around 1950. At that point I set my sights on the 2100 mark, after which my rating started going in the right direction again, eventually reaching 2091 in December 2016, up from 1957 in September 2015. That’s a simplified version of what happened, of course, but I think it’s time to try something similar again, so my target is now 2200 by 25 January 2020. The secondary goal is to post more often than last year, which shouldn’t be too difficult. Wishing you all chess success, and a happy and prosperous Year of the Pig! I have not been playing many FIDE-rated games, but my appearances in the French League and 4NCL have been reasonably successful so far, and I hope to cross 2100 by the end of the season. My French team, Cavalier de Neuilly, has secured promotion from Division IV to Division III with a round to spare, but my British team, West is Best, is currently struggling. My study has been inconsistent of late, with my failure to establish regular habits partly due to shift work. I have now left my job, and will be moving to Paris in the next month or so to study programming at 42. I do not anticipate this giving me more free time overall, but it will give me a great deal of flexibility with my schedule, which I believe is important. Going forward, my approach to chess study is going to be based on habit formation, aiming to establish a consistent routine rather than the study binges and burnouts I have been guilty of in the past. Wishing you all chess success, and a happy and prosperous Year of the Dog! The last month or so has been a busy one for me. The Yusupov Challenge has stalled, as I have been focusing on activities I think will be more immediately beneficial for the British Championship, which starts next week. I am really looking forward to playing in the main section of that for the first time, and hope to have some interesting games. I do not have a target score, but am instead just aiming to play as well as I can and at least make different kinds of mistakes from those I habitually make (a similar sentiment was expressed somewhere in ‘Thinking Inside the Box‘, which I read recently, though I can’t find it now). I hope the rest of you doing the challenge are still making progress; do let me know in the comments below. I will be resuming it after the British (though possibly not immediately afterwards, as I want to analyse my games thoroughly while they are fresh in my mind). I am White, playing the top seed, and my main plan is to put pressure on the weak b6-pawn. I did this slowly, starting with Rfe1 so that Nf4 could be met with Bf1, preserving the bishop, and continuing with Rb1 and Nc4. Whilst this procedure retains the advantage, it does allow Black some counterplay by pushing the h-pawn, and a much more incisive way of executing the plan would have been Rc6! I did see this, but felt giving up the exchange carried some risk. In fact, if Black plays Bxc6 he is totally helpess after dxc6; the knight will come to c4 and the b6 and/or d6 pawn(s) will fall, the king is stuck in the centre, and none of the Black pieces is active. 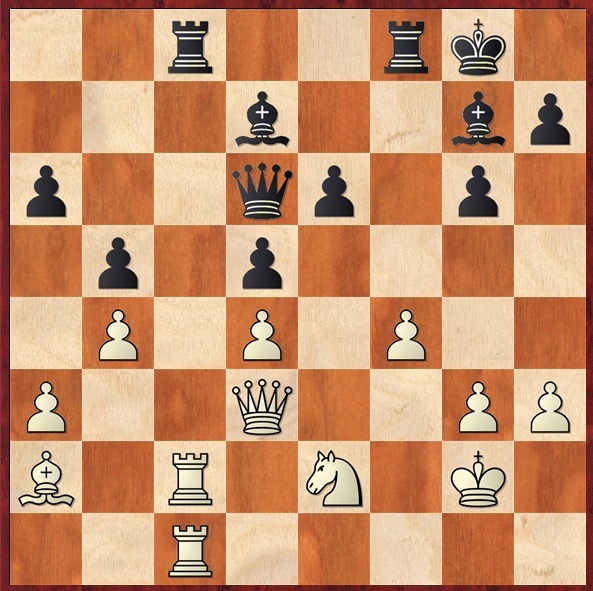 I am particularly annoyed that I did not go for this, as I missed a very similar tactic in my game against Peter Jaszkiwskyj earlier in the year. I will be trying to guard against being too materialistic in the British. My two main areas of study over the last month have been openings, which I am trying to memorise using Chessable, and Jacob Aagaard’s ‘Thinking Inside the Box’, which I mentioned above. Both are worthy of full reviews, which should be forthcoming at some point after the British; for now, suffice it to say that both are highly recommended. 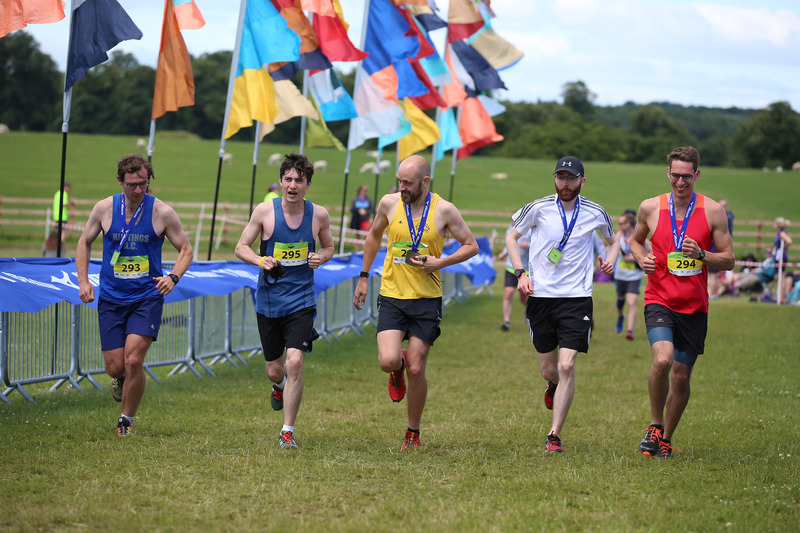 The weekend before the Railsport Games, I undertook by far the greatest physical challenge of my life so far by participating in a 24 hour relay running race (‘Endure 24‘). I entered as part of a team of 5, running as many 5 mile laps as we could manage in the allotted time. In the end we completed 195 miles, of which I did 40, coming third in the ‘small teams’ category. I am in awe of the people who chose to do the event solo, a number of whom completed over 100 miles. The first few laps were quite pleasant, completed at a good pace in the afternoon sun; by the end I had revised my understanding of the term ‘pain threshold’ several times, and a moderately nimble earthworm would have run rings around me. I realise this has little relevance to chess, but I am hoping that the experience will serve me well next time I find myself suffering after seven hours in a difficult endgame. The lesson I learnt from the weekend is that even when you think you have nothing left to give, there is almost always some energy left somewhere. The picture below is of me (second from left) finishing my final lap, with the rest of the team joining in for the final few metres. We raised money for the Against Malaria Foundation, which is one of the most effective charities in terms of money spent per life saved. Should anyone wish to donate, you can do so here. That’s all from me for now. As always, let me know your thoughts in the comments section below, and I will be back with another post in August. I have finally worked my way through all the instructional chapters of book 1, with just the final exam left to complete. My progress has not been as fast as anticipated, but I hope those readers who are also doing the challenge are managing to stay on track. This chapter was about calculating forced variations. I found some of the calculations a bit of a grind, but managed to complete them accurately in the end, dropping just one point. The theme here was combinations to promote a pawn. As with some previous chapters, the topic led me to the answer quite easily in most cases, but I did learn one useful motif which I wasn’t really aware of before: namely that of attacking a knight on the 8th rank with a pawn on the 7th, thereby threatening to promote in two ways. This particular vulnerability of the knight also seems to work one rank further back (with the pawn on the 6th/3rd rank) if the knight is on b2, g2, g7 or b7. Weak points was the topic of this chapter, with some nice strategic examples from the classics to illustrate it. I tried not to overthink the solutions, just scanning the position for a weak square and trying to find a natural way to exploit it, rather than attempting to calculate exhaustively. The approach worked pretty well, and I think is the right way to go in this sort of position in a practical game, though I did drop a couple of points on exercise 20-9. More pawn combinations. I went for Ne8+ rather than the book’s Be7 on exercise 21-7, but as my variation is also clearly winning I didn’t deduct points. This was a useful chapter for me, as it digs deep into the idea of a ‘wrong-coloured’ bishop in endings with a rook pawn. Whilst the basic fortress (shown in the diagram below) is straightforward once you know it, there are some nice nuances in reaching it. No matter how many times I see smothered mate, it never fails to bring a smile to my face. This chapter introduced a few fresh examples. I’ve yet to get this in an over-the-board game, but have done in online blitz. Let me know in the comments below if you have had the opportunity to give smothered mate. Despite playing the open games for the entirety of my chess career to date, there are still plenty of gambits which make me uncomfortable. That was the topic of this chapter, and I dropped a lot of points (though this was likely in part due to fatigue). I may return to this chapter at some point, and certainly need to brush up on my opening theory in a number of gambits. Those of you who are doing the challenge, or have completed the chapters I have written about here, do let me know how you got on / are getting on in the comments below. Another busy week, in which I managed to complete three chapters. I am about three quarters of the way through the first book now, which is not as far as I had hoped I would be, but I imagine a lot further than I would be if I hadn’t started this challenge. I am going to try switching to solving in the mornings before work, when my brain will hopefully be a little fresher than after. This chapter is about combinations, and features fairly standard tactics problems. Some of the exercises took me a while, but I did manage to get almost all right. The exception was 15-3, where I chose Bxc5, which should still be winning or at least much better for White, but is much less convincing than the (with hindsight rather obvious) solution, Rd8+! It’s amazing how complex and interesting positions with only four pieces (including kings) left on the board can be! This chapter is about queen vs pawn (on the 7th), and I found some of the mate/stalemate motifs really pleasing. The only exercise I dropped points on was 16-4, which with hindsight is laughably simple. 16-8 is a real treat, which I was pleased to solve correctly, but I will leave that position for people who have the book. This chapter is about stalemate motifs. As with some of the earlier chapters, the theme is so well defined that it makes finding the solution quite straightforward in most cases, and I managed to get them all right. The most challenging was 17-2, for good reason – whilst the ‘solution’ given in the book is the best try, it doesn’t actually work with best play! I ‘found’ Bg4, where the book gives only Nxg4 stalemate. I wasn’t sure what was going on after Nc6 (or even Bf6, which is still a draw, but worth a try rather than giving immediate stalemate). 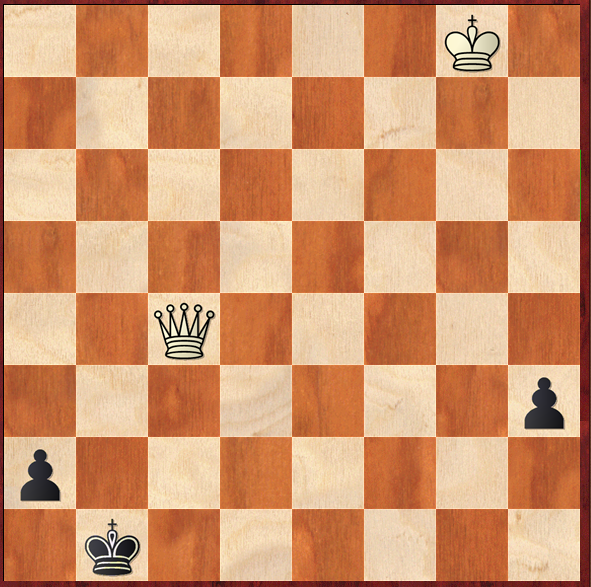 It turns out that Black’s knight can dance around and eventually give mate, despite the White bishop’s best efforts to defend the key squares. Hopefully this will be corrected in a future edition. Those of you who are doing this challenge with me, let me know how you got on this week in the comments below. As expected, week 3 was a write-off, due to having too many evening matches. Unfortunately week 4 went the same way, as I was ill at the start and then had to work night shifts later. Week 5 has been much more productive, with five chapters completed in spite of having two mid-week matches. That means I am slightly under half a book behind the pace set on the Quality Chess blog, but I may be able to catch up over the coming month. For those who haven’t seen it, Artur himself has now given his thoughts on the challenge, providing those of us doing it with an extra boost of motivation. This is another pawn ending chapter, talking about the opposition. I was expecting to ace the exercises, as a lot of them were similar to those in the first chapter of Dvoretsky’s Endgame Manual, but I carelessly missed a few details, dropping four points. The topic of this chapter is the pin – a tactic players become familiar with very early on – and unsurprisingly it was fairly straightforward. I still dropped a couple of points on the last exercise, missing that after my proposed solution of Bxc5 Rxc5 Qd4 Qc7 Qxc7 Qxc7 Qxb4, Black escapes with a perpetual check. Another chapter on an elementary tactical motif – the double attack. The exercises were once again fairly easy for me, but I still dropped two points. The topic of this chapter, ‘Realising a material advantage’, was very interesting for me, as it is something I routinely struggle to do. Some of the exercises required careful thought, though I eventually managed to solve most of them. 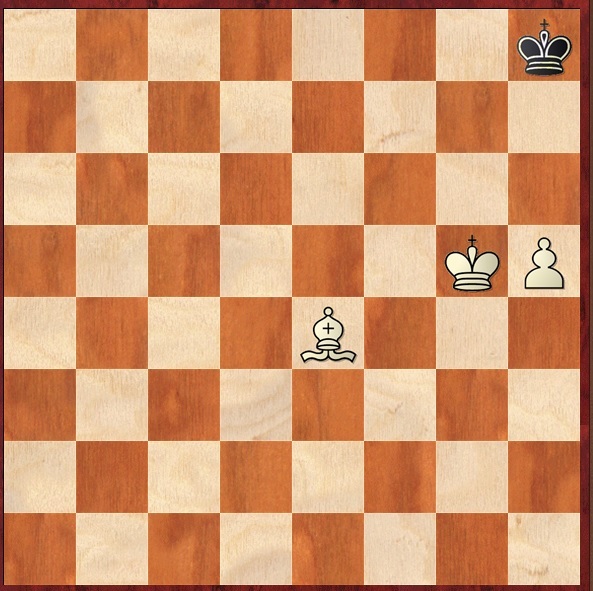 The only exception was 13-6, though I feel a little robbed here, as my solution (Re7) also seems to be winning but is not mentioned in the book. If anyone knows of more exercises available anywhere on this theme, please let me know in the comments section below. Here Rc5 is the best move, keeping control of the open file, and if Black captures with Rxc5 then dxc5 give White a protected passed pawn and a useful square on d4 for the knight. Instead I played the planless Rc3 (I was very low on time), and my opponent played Rxc3, missing the chance to occupy his own outpost with Rc4!? This is a more difficult move to make, as it sacrifices an exchange, but after Bxc4 dxc4 Black has great practical chances along the a8-h1 diagonal, as well as a protected passed pawn on c4. Having completed this chapter, I hope I will make the right move automatically the next time I get a position like this. I feel a bit fortunate to have dropped only four points, as I was tired and impatient and so rushed a bit on some of the exercises. There’s still time to join the challenge, so comment below if you would like to. I completed five chapters in week 2 of the Yusupov Challenge – one short of the target of six. As mentioned previously, I am doing one chapter a day after work, except when I have an evening league match; as I have five games this week, the chance of me getting six done in week 3 is negligible. The main thing is that I continue to make good progress and work on the book whenever I realistically can, and I am not going to get too hung up on whether or not I managed six in a week. This chapter is on double check, and the rather specific topic makes looking for candidate solutions to the problems quite straightforward. Even so, 5-7 tripped me up, as I revealed check in the wrong way (2. Nh5 ++ rather than 2. Ne8 ++). This still wins, but I deserved to lose point as I went astray further down the line, putting my queen en prise. An interesting chapter on the relative value of the pieces. Yusupov comes up with his own value for the rook – 4.5 rather than the usual 5 – which better accounts for facts like rook and pawn generally being inferior to two minor pieces, but fails to account for the fact that two rooks are more often than not better than a queen. At the end of the day, fixed numerical values for the pieces will only ever be an approximation, as their value shifts according to factors which Yusupov discusses. These exercises were tougher than in previous chapters, though I did feel a little hard done by as the marking scheme penalised me a couple of times even though my selections were also strong. A chapter on discovered attacks – as with chapter 5, the topic leads you to the answer in most cases. There has been much talk in the official challenge thread about players of various levels skipping books, and starting later in the series. Chapters like this one convince me that the vast majority of players should start from the beginning. The topic is ‘centralising the pieces’, and the exercises are based on the idea of moving your pieces to central squares or somehow taking advantage of your centralised pieces. Not all of them are ‘find the tactical knockout blow’ type exercises; some simply require you to find the best move, which makes them more like a real game and rather more difficult. I bled points all over the place here. The pass mark is 12, so I still passed reasonably comfortably, but I am planning to return and review this chapter at some point. The topic is mate in two, and the idea is to train the skill of accurately calculating short variations without missing candidates. The exercises are of the non-game-like problem type, and I found I either stumbled upon the solution quite quickly, or ended up staring at them for ages in increasing disbelief that a solution really existed. I had to do it in several sessions, and even then I gave up on two. If anyone else is working on these books, let me know how you are getting on in the comments below. I have completed week 1 of the Yusupov Challenge, doing four chapters rather than the usual six as it started partway through the week. Finding time to do a chapter almost every day is going to be challenging at times, but that’s why it’s called a challenge! I am doing a chapter every day after work, except when I have evening league matches, as I want to be fresh for the game. In weeks where I have more than one evening match I will try to fit in the missed chapters at the weekend. This is another chapter on mating patterns, and is a little tougher than the first chapter, but still not too difficult as all the patterns seen in the exercises are introduced beforehand. I dropped a point on 2-4, choosing 2. Rh4 rather than 2. 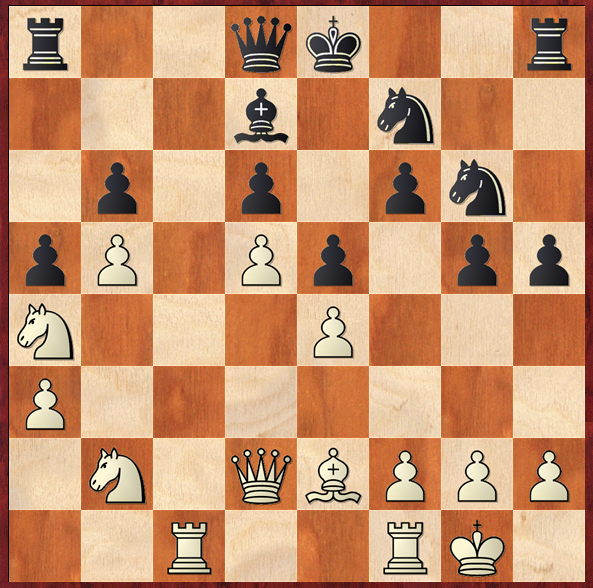 Qh6 – the right idea, but unfortunately my move order allows a perpetual. A chapter on basic opening principles. The topics covered are rapid development and controlling the centre – concepts which every chess player is introduced to early on – so I was not expecting it to be too difficult, but in fact it was by far the most challenging chapter so far. I was reading it on a train – not having a board to hand made following all the variations in the introduction difficult, and the screaming baby did not help particularly with the exercises. I dropped points onn 3-2, 3-7, 3-10 and 3-12. This chapter on basic pawn endings proved fairly straightforward to me, as I have studied pawn endings before (it’s the only chapter of Dvoretsky I’ve managed to (half-)complete). Most of my solving time was spent on 4-5, which required a lot of calculation. There’s still time to jump on board if anyone else wants to join the challenge (either at my rapid pace or at their own pace) – just post in the comments below and in the Quality Chess thread.